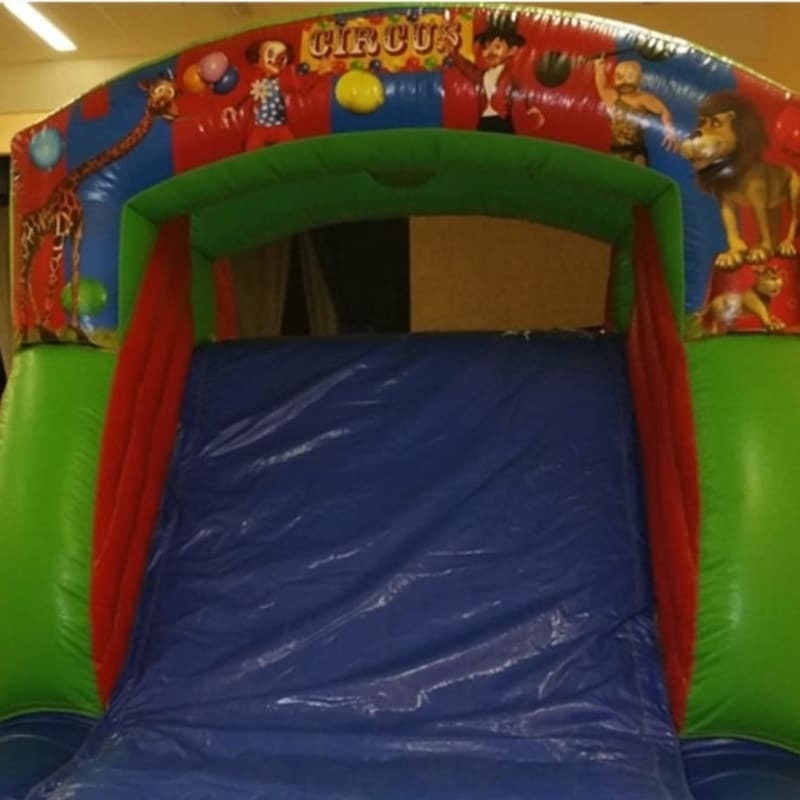 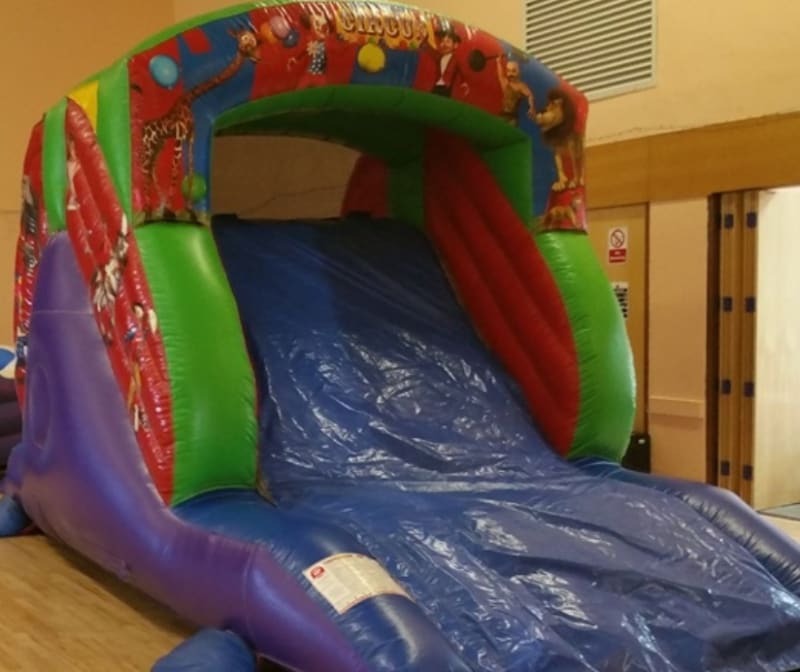 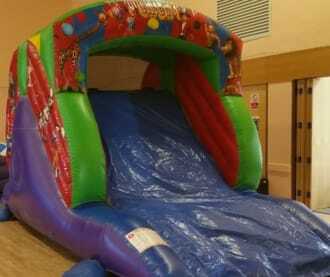 Children will enjoy this Circus themed up and over slide. 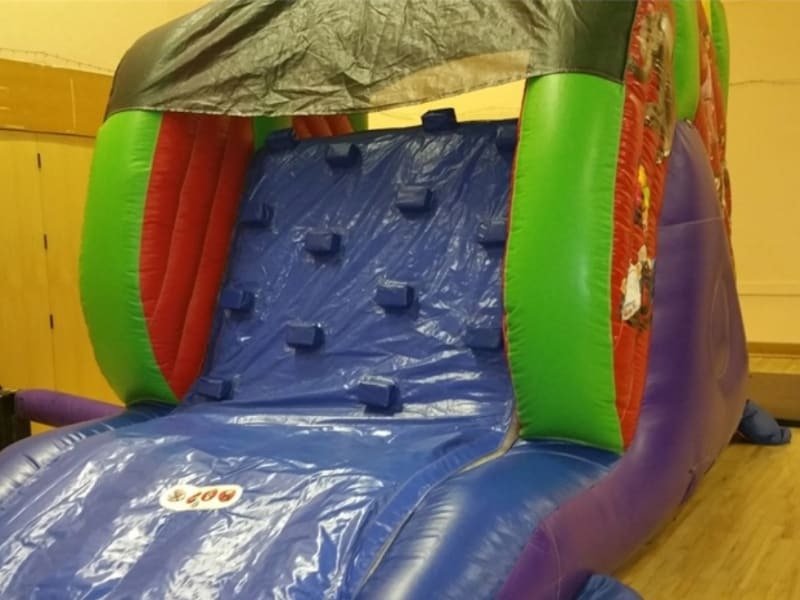 Its 6ft platform and easy to navigate steps with block wedge bricks makes it not only easy to use but will offer fun filled smiles. 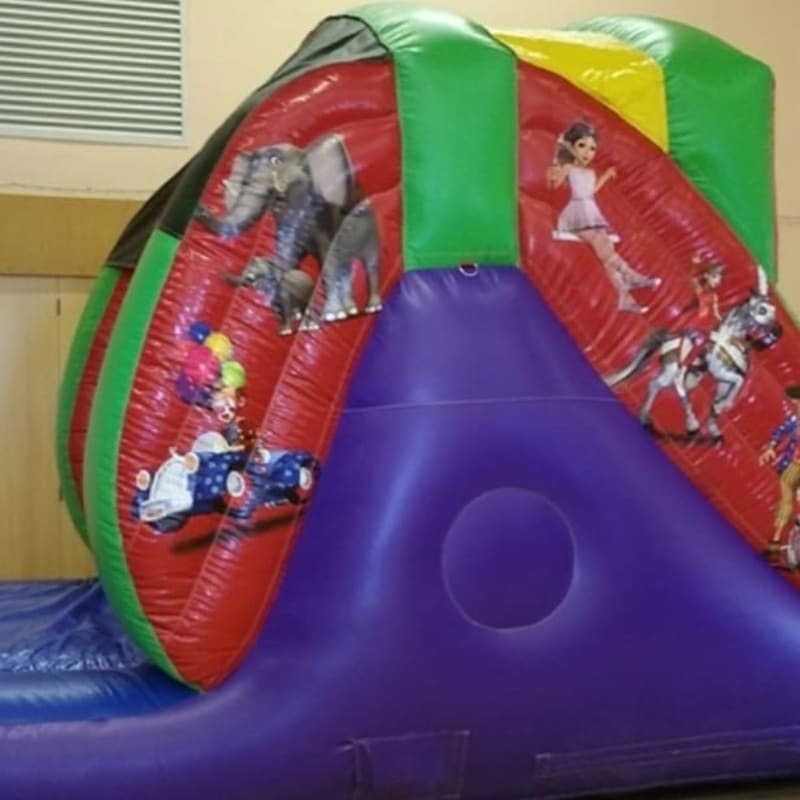 Its impressive arch makes this inflatable slide extra safe and attractive to look at. 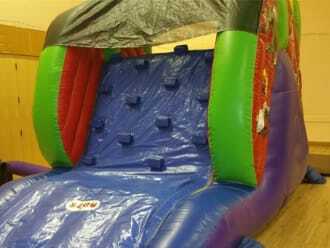 , The striking blue slip sheet makes the castle fast but safe with its extra-long run off at the bottom.